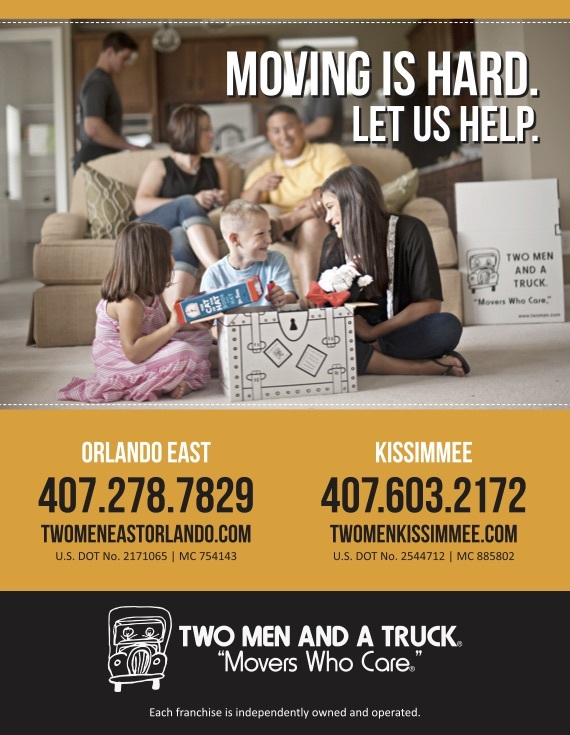 Whether you are moving across town or across state lines, TWO MEN AND A TRUCK® East Orlando can serve you. 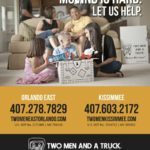 No job is too big or too small, and we will move your belongings to and from storage units, studio apartments, townhouses, multi-story homes and everything in between. We take the time to pad and wrap your larger furniture in order to protect it from damages and we will also carefully box pictures and lamps to keep them safe. Our customers’ feedback tell us that the care with which we handle their items is appreciated and it gives them confidence to recommend our services to others. Let us give you an estimate for your next move.